The recall of an automobile has been around for many years, but recently we have been hearing more and more about these recalls. Some recalls are more highly publicized and more serious than others. This article is to help you better understand the what, where and why of recalls. Plus what your part is when you have a vehicle that is involved in an automobile recall. The type of recalls that you may hear about on the news or read about in the newspaper are typically serious, dangerous and often life threatening. Just recently there have several recalls that involved GM and their ignition switches and a manufacturer of airbags that potentially affected several automakers. The above-mentioned recalls were possibly responsible for several deaths or has the potential for loss of life in certain situations and are still under investigation. Not all automobile recalls is life threatening, but they do have something to do with safety. They can affect something as simple electric seat heaters or windshield wipers or something much more serious. Some people think of recalls as nothing more than an inconvenience, but regardless of the severity of the problem everyone should make sure they get their vehicle checked and repaired at the expense of the auto manufacturer. There are two parties that are responsible for creating an automobile recall, which is the automaker, and/or the National Highway Traffic Safety Administration (NHTSA), which is the governing body for automobile recalls. The automaker can do what is called a voluntary recall, which is initiated by the manufacturer, or the NHTSA will order a mandatory recall. Records are kept by the automakers and reports are compiled from accident and incident reports that will trigger a recall when unsafe patterns are indicated. Recalls are for the benefit of the consumer, they are to protect the consumer when it’s determined that a vehicle was produced below acceptable safety standards. When a recall is announced the automaker will make may every effort to contact the owner of a vehicle that is included in a recall. They will mail letters and cards to alert owners to potential problems and advise on they can have their recall addressed and repaired at no charge to them. However sometimes vehicles change hands and are not registered with the original automakers. Therefore you can also find announcements and notices on the NHTSA website and the automobile manufacturers website. When you receive a recall notice it’s in your best interest to open, read and comply with the notice. 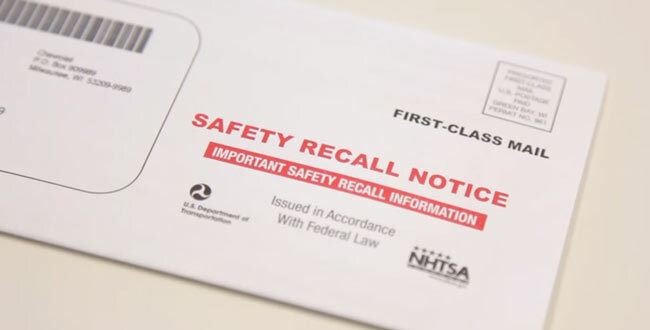 However you should note that some marketers will send letters that look similar to recall notices as a way of promoting their business so may sure that you see the official logos from the NHTSA to assure that you are receiving an official notice. If the recall was serious enough to issue a recall and send you a mail piece it’s serious enough to get it fixed for the safety of you and your family. You should be directed to call the service department and make an appointment with your nearest new automobile dealership of the same brand. Practically all automobile recalls will be fixed or repaired at expense of the automaker and there shouldn’t be any cost to the owner. You should also take note that there may be a time limitation as to when your vehicle can be repaired at the cost of the automaker. 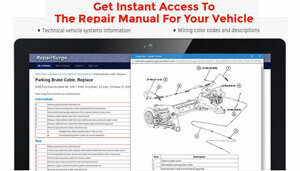 Replacement parts and availability can often determine how quickly you can have recall repair completed. Completing your recall can also help retain the value of your car and hurt the value when it comes time to trade or sell your old car, not to mention the possible safety concerns. If you have questions about the validity of your recall notice you can always contact the NHTSA, the automobile manufacturer that issued the recall notice or your local new car dealership of the same brand. Is My Car Part of a Vehicle Safety Recall? If you are the owner of a car, truck or SUV that you suspect may have a problem that is part of an automobile recall you can take some steps to see if your repair is covered. You can visit the NHTSA website armed with your seventeen digit (VIN) Vehicle Identification Number and enter your information for a comprehensive overview of any possible recalls that may affect your automobile along with any action your should take. Most automobile manufacturers websites also have recall information. There is no charge to you to find out if your car is involved in a vehicle recall. Take the time and make sure because your life and the safety of your family is worth the effort. What is a Certified Pre-Owned Car?